It is hard to imagine but ten years has past by since Operation Forbidden Fruit occurred. In late October 1999, eight USDA Fresh Fruit and Vegetable Inspectors, including two supervisors were arrested on charges of bribery and corruption. 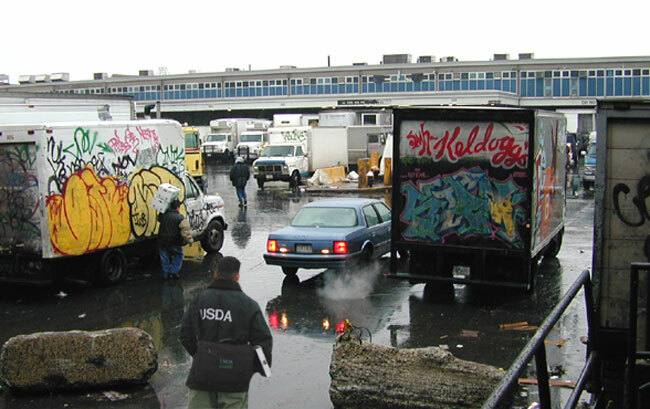 On a personal note, I was one of the replacement inspectors called in that day, to continue inspections at the Hunts Point Market in NYC, after the majority of the inspectors were whisked away in handcuffs. A day I will never forget. “Operation Forbidden Fruit” was led by the USDA’s Office of Inspector General assisted by FBI and USDA’s Agricultural Marketing Service. The investigation observed a scheme over a three-year period where receivers allegedly were bribed to lower the grade of produce. The receiver then renegotiated a reduced price with the shipper. The inspectors then kicked back a percentage of the bribes to their supervisors. The investigation stemmed from grower complaints over lower produce prices at Hunt’s Point. Growers claimed they felt they were being cheated and wanted to end their association the New York produce market. In the next few posts I will take a look back at the fallout of the bribery scandal, the improvements the USDA took, and the ramifications from the dwindling resources of the USDA Inspection Program to keep these improvements in place. This post is filed under Current Events. Alot of us got yanked out of our regular duties and lives to carry the brunt of the work after this all went down. You are sure to get a number of comments on this issue. Are any of the things that were proposed by upper management so that something like this ever happen again still working? Are any of the proposed improvements working?? Are you kidding? Over $10 Million was given to the USDA by the taxpayers to create the Training and Development Center. Under the watchful eyes of the current USDA management the head of the training center was sent to prison for stealing government funds and equipment. Do you really think anything will improve with these same managers still in charge? nothing ever good comes from that place. just ask shippers how they like sending product there. ask how many truckers love to drive there. work environment? you are kidding me? inspectors are knoking down the door to go transfer there. I take my hat off to the inspectors that can tolerate that environment on a daily basis. Man you are not crazy, the USDA is. This crap has been going on for years, you would think someone would put a stop to it. And I am sure the porter knew exactly which 4 cases to get for the inspector. You are right, poor farmer/shipper.